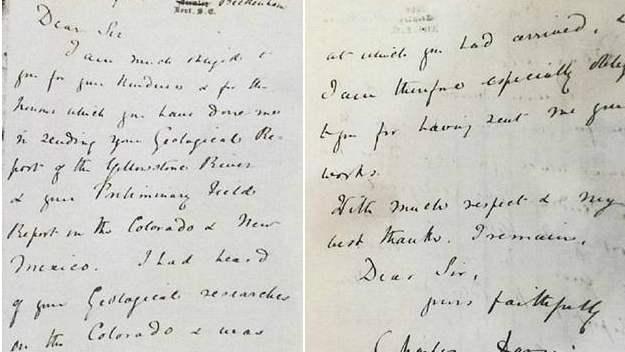 This Charles Darwin letter was stole in the 1970s and was recently recovered. The FBI has found at least 2,650 missing art pieces or historical artifacts since 2004, according to a review by News4 Washington. The bureau’s Art Crime Team, a specialized unit to combat art fraud and theft, recovered the pieces. 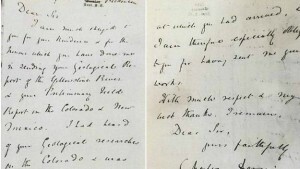 Agents recently found a stolen historic letter authored by Charles Darwin in 1870s. The letter was stolen from the Smithsonian Archives in Washington D.C. in the 1970s. It was recovered on May 26. Other cases involve artifacts, paintings and other valuable works of art and history. The FBI says art theft and fraud is on the rise. Posted: 6/3/16 at 10:23 AM under News Story.